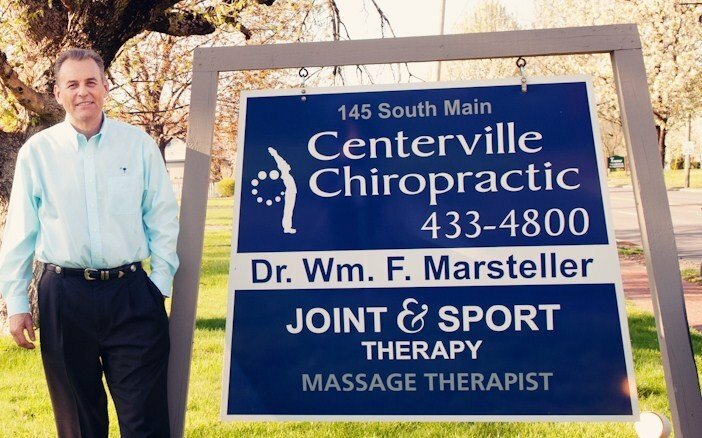 Our office is conveniently located in the heart of Centerville! Our goal is to get our patients out of pain and back to an active, healthy lifestyle as quickly as possible. We seek ways to support the body’s natural ability to heal itself and eliminate the need for drugs and surgery. The office will be closed all day Thursday April 18th, Friday April 19th, Monday April 22nd and Tuesday April 23rd(in the morning only). Our office also has on staff two licensed medical massage therapists, Angela Carson and Julie Frock. We also offer Reflexology with Angela Carson. Please call the office at 433-4800 to make an appointment with either Angela or Julie. 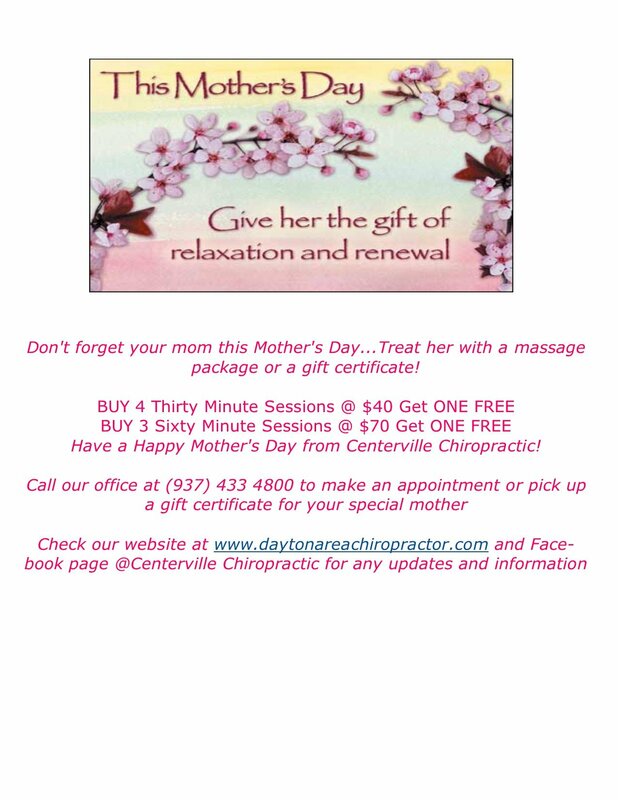 Gift certificates are available for purchase so treat yourself or someone you love to a relaxing therapeutic massage! Click here for some easy stretches to maintain a healthy pain-free back and body!